Earlier I posted a “little planet” image of Geographe Bay, taken from the end of the swimming platform at Busselton. 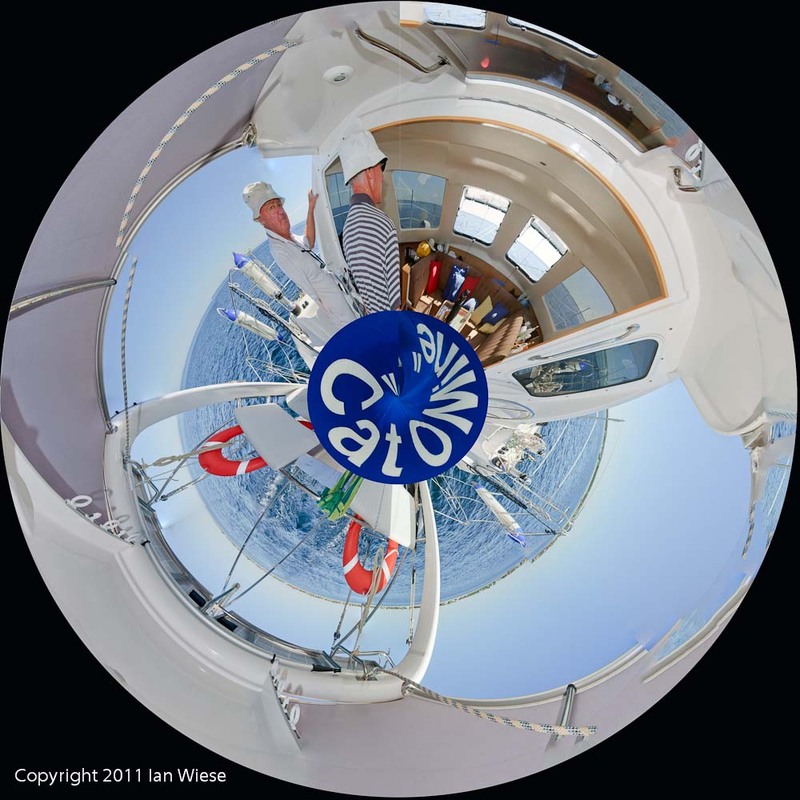 A couple of weeks ago I went out sailing on a 40 foot catamaran and while I was out I took a 360 degree panorama in the cockpit. This was taken handheld and to my surprise it stitched together remarkably well. However it wasn’t a particularly good image as it didn’t make a lot of sense. So I tried a conversion to the little planet format and was pretty impressed by the result. It is a quirky view of the yacht that the owner was very pleased with. Cat-o-mine is the name of the yacht. This entry was posted on April 29, 2011 by ianwiese. It was filed under Landscape and was tagged with catamaran, little planet, sailing.